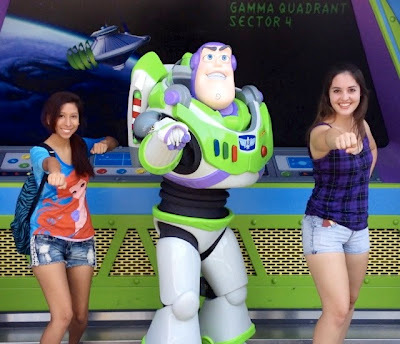 The second item on my DCP Bucket List that I was able to complete was to meet as many characters as possible! The first characters I ever met during my program were The Incredibles. You have no idea how happy this made me! The Incredibles is one of my all time favorite movies, and I had never met them before. There was nearly no line for Mr. 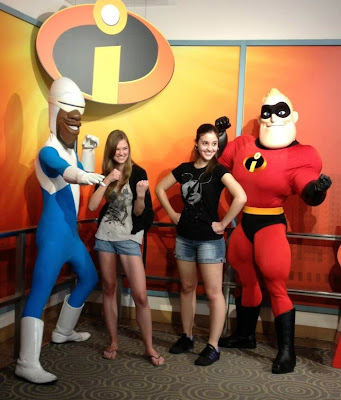 Incredible and Frozone, so Sara and I walked right up to meet them! While Mr. 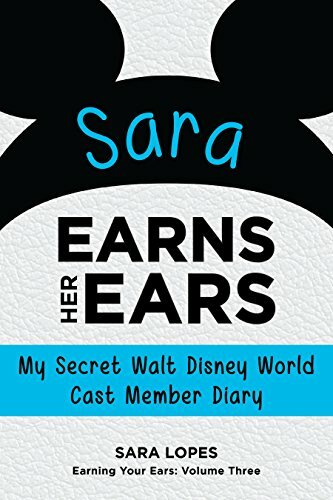 Incredible signed my autograph book, Frozone asked Sara to flex her muscles for him. He was terrified! It was hilarious! After the autographs we posed in our best fighting stance and became honorary supers! I have to tell you, I wish I was able to see Gaston more than once. Unfortunately he was never out at night (when I usually went to the parks) and his line was usually pretty long whenever I was able to see him during the day, but the one time I went to meet him with Jake was absolutely hilarious. Jake met Gaston first, and he actually had a shirt with Gaston's face on it. The first thing he said was, "I like your shirt. The only thing better than my face, is two of them!" Then he asked Jake about his workout routine and his diet (which was midnight snacks consisting of Oreos) and Gaston told him to flex his arms. As soon as he did, Gaston took a look and said, "Eh, it's a good start." I was dying it was so funny. When it was my turn to meet him, Gaston first asked if Jake was my boyfriend. I laughed and said no, we're just friends. Gaston replied, "Don't worry, Belle put me in the friendzone too. But I assure you, I will make her my wife." 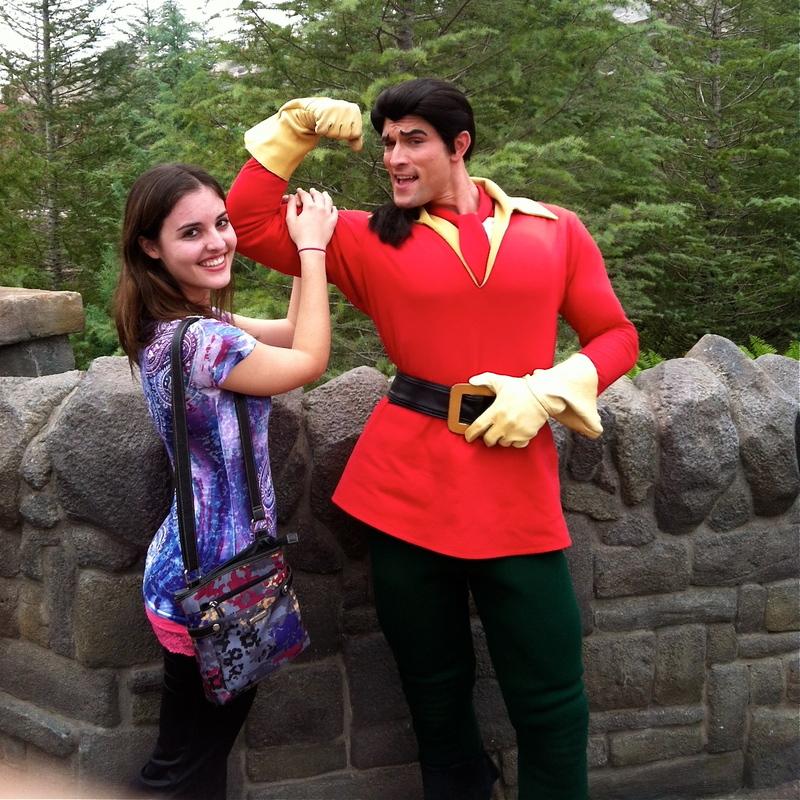 I just kept laughing, while Gaston asked if I wanted to feel his arm muscles. Once I posed (like above), he said, "That's what it feels like to be impressed." It was hands down one of my favorite moments during my entire program. 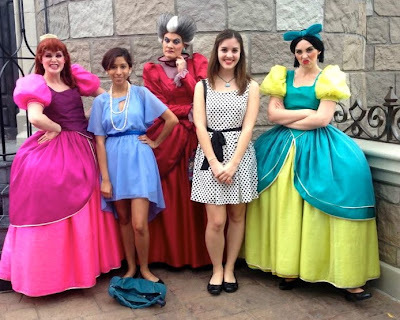 I was able to participate in Dapper Day before I had to head to work, and I had the pleasure of meeting Cinderella's stepsisters and stepmother, the Tremaines! They were hilarious. First, they asked why everyone was dressed up so nice that day, and we explained that it was Dapper Day and everyone who participates is dressed up in their Sunday best to pay tribute to the opening of Disneyland. They were in love with Lizzie's dress. Anastasia twirled her around a few times, and Lady Tremaine asked who her seamstress was. I told them Charlotte Ruse (get it? ), and they said that they had never heard of her before. Then Lady Tremaine continued to bad mouth "Charlotte" and said, "You see, I can talk bad about her because I don't know her." Later that day we decided to watch Celebrate A Dream Come True Parade right before I left for work, and when the Tremaines danced by us, Anastasia saw us and shouted, "Hey! Look it's our friends!!" She kept pointing trying to get her sister's attention, but to no avail. It was still neat that she remembered us! The day all of my friends decided to Disneybound in the parks and go character hunting, I discovered that one of my best friends Christine was going to be hanging out with Daisy at Pete's Silly Sideshow that day. After meeting the princesses in Town Square Theater, we realized we could FINALLY visit Christine at work! I hadn't been able to throughout my entire program, so I was really excited to finally see her in action! We quickly hopped on the train to go to Storybook Circus. We were pretty pressed on time because it was nearing the end of Christine's last set before the rest of us had to leave and get ready for Goofy Con later that night. We were pretty worried because the line was a lot longer than we were used to (usually Sideshow is pretty empty later in the day). So we waited in line, and then literally right as we were going to meet Daisy, the character attendant told us that she was going to have to come back after a short break. This meant that Christine's set was ending JUST as we were about to meet Daisy. I tried to tell the character attendant that it was important to meet Daisy now, as opposed to five minutes from now. Thankfully, my friend Syndey is Photopass and knew the person working at that moment, and he let me quickly meet Daisy. She was SO excited to see me! It was too bad we were being rushed, but I was really happy to actually meet Christine's best friend! Buzz was the last character on my bucket list that I needed to meet. If I'm not mistaken, I think he was the last character I met at the end of my program! Toy Story was one of my all time favorites when I was little, so meeting him (and the other toys) really meant a lot to me. These five character moments were some of the most memorable ones that I had during my program. I also loved meeting Rafiki, Woody and Jessie, as well as the boss himself, Mickey! Character hunting is for sure now one of my favorite things to do in the parks. I definitely recommend it for everyone doing the program!